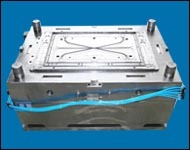 Zhejiang Wanlong Mould Co.,Ltdwas established in 1993.Professionally dealing with plastic mould design and manufacture.It has modern equipments with high precise.Adopting the latest CAD/CAE/CAM technology,relying on many years experience of mold design and manufacture,it ensures their high technique and reliable quality. They specialized in design and manufacture of washing-machine,television,cars,motorcycle parts as well as other plastic mould both of home appliance and electricity.Now it has 138 workers and staffs,among it 22 are palstics and mould designer,80 are mold technicians with much experience and innovation. 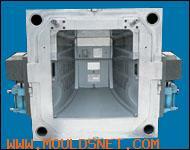 The company highly pays attention to its internal quality control,technical innovation,and mold making standard.Already obtained ISO 9001 international quality system certificate.Up to now,the company has made many high qualified moulds and plastics for many famous domestic clients such as Changhong,XIAHUA,TCL VIDEOCON etc,and meanwhile they also exported many moulds to the countries of South East Asia,Middle East as well as other countries. 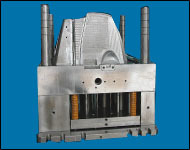 "Quality first and reputation top" is their management policy,and supply qualified mould and plastics to the old and new clients both at home and abroad with reasonable price is their way of doing business. 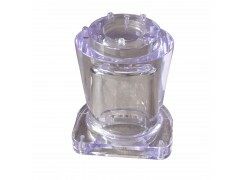 They warmly welcome every old and new client both at home and abroad building new business relationship with them,and sincerely say thanks to all the clients.